The TranzAlpine has been doing the rounds for more than 30 years, working its way from East to West over 223km, AND BACK. Phewww. The journey starts on the Eastern coastline in Christchurch, and ends in Greymouth on the wild wild West Coast. But this is not your average train journey, this, according to National Geographic, is considered to be one of the finest train rides in the word. & you know what - I agree. An array of geographical wonders await as you venture cross-country. From the glacial rivers, country pastures, rolling hills and dramatic snow-capped mountains. With so many natural gems to witness, you won't want to take a nap during this train ride, trust me. The train departs Christchurch Railway Station at 08:15am and arrives into Greymouth at 13:05. If you're a high baller and taking the return trip, you have a 1-hour break before the train starts to make its way back to Christchurch at 14:05. Greymouth isn't the most happening place in New Zealand, BUT, if you've got yourself an hour to spare, you can choose to walk the small town, explore shops, grab a bite to eat, take a walk along the river front or visit the conveniently placed Speights Ale House just across the road. If you're overnighting in Greymouth - then this is your gateway to exploring the West Coast; Franz Josef, Fox Glacier to the South or Westport to the North. The perfect place to start a South Island adventure. Most importantly, you will want to make sure you have tickets. I recommend booking in advance, especially if you're looking to travel on a weekend, or during peak summer season. I travelled on the first Saturday in September and the train was fully booked. I believe that if you book directly through Kiwi Rail - there are three different fare types available; Starter, Flexi & Flexi Plus. Each more expensive than the other. When you receive your booking confirming, you will be issued with a voucher - this is not your boarding pass. Check-in is required where you exchange your voucher for your boarding tickets. Check-in opens at 7am in Christchurch - I would recommend getting there no later than 20 minutes before the train departure time. Large luggage is checked into a separate carriage at the back of the train; with loading starting at 07:30am. Once you have handed bags over, you are free to board and find your seats. Seating is automatically allocated when you make your booking, but you don't find out what your seat assignment is until you check-in and receive your boarding passes. I work in rail so I know what people are like with their seat assignments requests. They are automatically assigned, but you will still get the occasional person emailing in trying to request specific seats and coaches for their 12 Italian trains, for all 7 passengers. "I want to be forward-facing, in a window seat, next to the luggage rack and close to the toilets. I want my husband next to me, Diane opposite me, and Peter diagonal across the table"
I have a love/hate dislike relationship with these kind of people. I dislike these requests because 90% of the time its not possible for us to do it. I love them, because I am exactly the kind of person who would do the same thing. So lets be real, I 100% had to stop myself from emailing Kiwi Rail to request a seat. You can do this btw, if you ask nicely and early enough you may be able to request a specific seat. It took a lot, but I stopped myself and decided to see what fate would give me. "From the windoowwwww, to the wallll. Till the sweat drops down my.." anyway. It was safe to say I was pleased I got a window seat. To be honest, wherever you sit, you are spoilt with all the views. Every carriage has gigantic panoramic windows so you get the best views in the house, from EVERY seat in the house. So if you're allocated an aisle seat, it's not the end of the world. 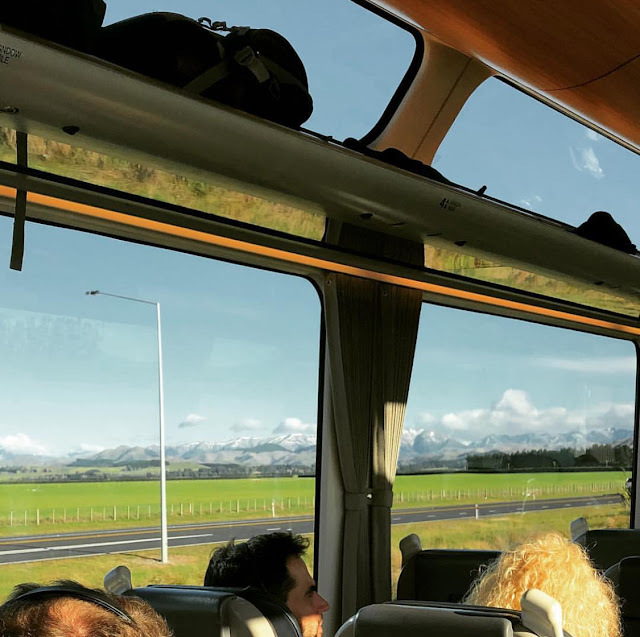 If you're travelling from Christchurch to Greymouth; you want to be sat on the right-hand-side of the train; seats C (Aisle) & D (Window) for the "best" views. I was hoping for an empty seat next to me because i'm anti-social and don't like small talk, but, alas, because the train was fully booked I had a guy next to me. I was pleasantly surprised about the amount of space we had though so it wasn't an issue that the train was full. Each seat comes with a fold-down table (unless you're in a 4-seat configuration, then you're sat over a table) and a net pouch to store your bits and bobs and ALL THE LEG ROOM. So much of it. In between your seats you will find a headphone socket and volume controls. Every passenger receives a pair of headphones which you can plug in and listen to the onboard commentary throughout the journey. The commentary is not-constant - there are TV screens throughout the carriages which show a live map of the journey. When commentary is about to start, an alert will show on the TV screens. Sitting is actually over-rated on this train anyway, so old school. You want to get yourself to THE VIEWING CARRIAGE. I had never been on a train with this option so I was extremely excited. In my head I had these images of me, leaning out, looking at the mountains, while someone took photos of me looking super candid. That would require me talking to someone, so I didn't. But who doesn't love a horrible wind-swept selfie anyway!? I spent about 85% of my time in here and guarded my spot fiercely. Its a jungle of selfie sticks, iPhones, GoPros, iPadwankers and jumbo DSLRs being waved around. Everyone trying to get THE SHOT. Once you had your spot, you daren't move. You're in it for the long haul - I would rather freeze from the wind than loose my precious spot. One by one the cold and weak disappeared back to their heated carriages - I smiled smugly with blue lips and frost-bite fingers knowing i'm the real winner and I ain't going anywhere. The views are, for the most part, uninterrupted. The only exception is if you have a large group of Chinese tourists on your train shoving their selfie sticks in front of your face like I did. Without a doubt, the money-shot is a photo of the train itself. Achieved only when the driver twists round a bend, causing both the front & back of the train to come into view. On our trip, a passenger had appointed themselves chief announcer of corners & bridges; shouting "CORNER" or "BRIIIIIDGE" in advance so everyone could get their photography choice of weapon and take aim of the side. Anything for the 'gram & the likes. We could clearly all see the bends and bridges, but the announcement made it that bit more exciting. This is a 5-hour journey, travelling through breakfast, lunch & maybe dinner if you're heading back to Christchurch so you're inevitably going to need a good feed. You can either bring your own food and snacks onboard, but honestly; the selection and price in the on-board cafe is so good I wouldn't bother. I love food, so naturally I was all about sampling a few things along the way - for research purposes obviously. Breakfast was a delicious berry compote and low fat yoghurt with muesli topping ($7 NZD) & an average cappuccino ($4.5 NZD). Not long before arriving into Christchurch, I had a go at the cheese & cracker board ($16 NZD) because TREAT YO'SELF. The cafe also sells a range of local craft beers and wines if you're feeling boozy - it's 5pm somewhere right. You can choose to take your food back to your seat, or enjoy in the cafe's carriage. One thing I will say, is make sure you have some cash available. Cards are accepted, but at times you are travelling through areas with zero signal so card transactions cannot be processed at that time. Both the viewing carriage and cafe are open for the majority of the journey; they close briefly during the journey through the Otira Tunnel between Arthur's Pass & Otira. The TranzAlpine is all about the journey, because, lets be honest, if you're only stopping in Greymouth - there's nothing too exciting about having that as your destination. Once you leave the industrial buildings of Christchurch behind, you enter the Canterbury Plains - miles and miles of lush farmland. The onboard commentary will tell you that this region is on the New Zealand's primary agricultural spots. About an hour into the journey, we stop at Springfield. Picking up more passengers, but more importantly - picking up freshly baked muffins from the local bakery there. I am beyond pissed that I did not know about this until AFTER the train journey. So people - if you go on this train - go yourself to the cafe after Springfield for a warm & tasty muffin & tell me all about it. We leave the flat plains behind and venture into the foothills of the Southern Alps. As I mentioned, I spent the majority of the journey in the viewing carriage. As soon as I clocked the Southern Alps coming into view from my seat close, I had my coat on, and abandoned my half-eaten muesli. The Southern Alps pretty much cut the South Island in half from top to bottom and are spectacular. If you ever fly into Christchurch, or over the South Island on a clear day - you will know what I mean. But travelling by train, through and alongside the mountains is something else. If you're not sat in seat D (right side of the train), head to the viewing carriage to get a front row seat to see the breathtaking gorges and valleys of the Waimakariri River. This is one of the largest braided rivers in the region; its sparkling bright blue waters come in and out of view as you travel through 15 different tunnels. Plunged into darkness, and then blinded with sunlight. Once your eyes adjust, you are treated to bright blue glacial rivers, vivid golden yellow tussocks, and the snow-capped mountains in the background. On the way, the TranzAlpine travels over four magnificent viaducts, with the most famous being the Staircase Viaduct which carriers the train 72m above the flowing stream. The driver knows where the best spots are for photos; and he slows right down so that every passenger can enjoy them. I really liked this - you have time to soak it all in first and enjoy the moment, and then whip out your iPhone, iPad, GoPro etc to get something Instaworthy without missing anything. Coming close to the end of the Cragieburn Straight, the landscape changes again. Views of Mount Binser and the edge of Arthur's Pass National Park come into sight. The train makes a stop at Arthur's Pass where you are free to hop off for 10 minutes to stretch your legs. 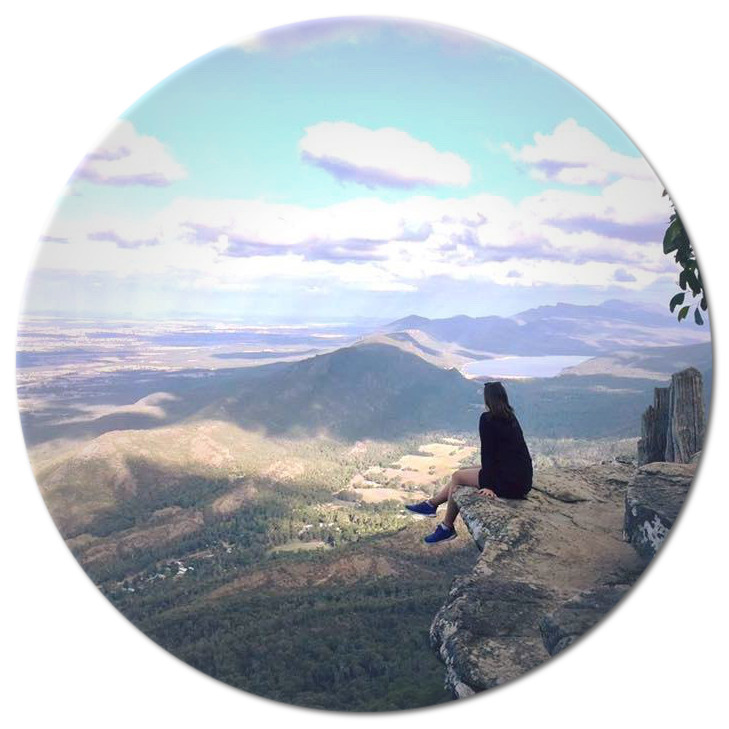 This is a very popular place for people to disembark entirely, and tackle some of the great walking tracks in the area. Back on board, everyone must remain in their seat for the next section of the journey. It was time to cross into the West Coast and descend through the Otira Tunnel; 8.5km in length, it is the longest tunnel of the trip. The Otira Tunnel was completed in 1923 after 15 years of construction and was the final step in completing the Midland Line which the TranzAlpine travels on. 15 years to make, 15 minutes to travel through. As the train pops out the other end, you have been train-sported (get it?) to a whole new world. The West Coast is famous for its wet weather and wildly green lush forests. Before reaching its final destination in Greymouth; the train meanders through mountainous hills and rocky riverbeds before passing through the town of Moana and the beautiful Lake Brunner. The rivers are no longer bright blue but instead a silvery-grey as we travel alongside them all the way to Greymouth. The TranzAlpine allowed me to fall in love with this country, to be mesmerised by the mountains and to forget everything else going on in the world; even for just 5 hours. A massive thank you to my colleagues at Railplus, and the generous staff at Kiwi Rail for helping to organise tickets for this incredible trip. 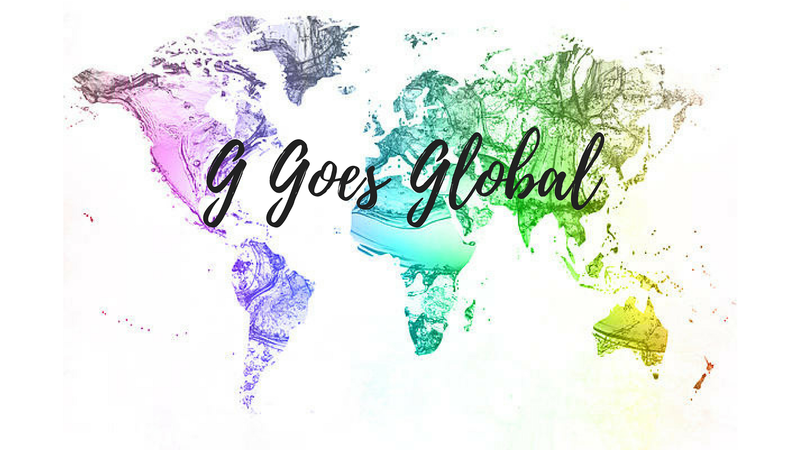 New Zealand #4 - TranzAlpine Train; Christchurch to Greymouth #GGoesGlobal from G Goes Global on Vimeo. I would love to hear what you thought of the journey. Or feel free to comment any questions or personal tips you have.